Satellite image from Human Rights Watch. 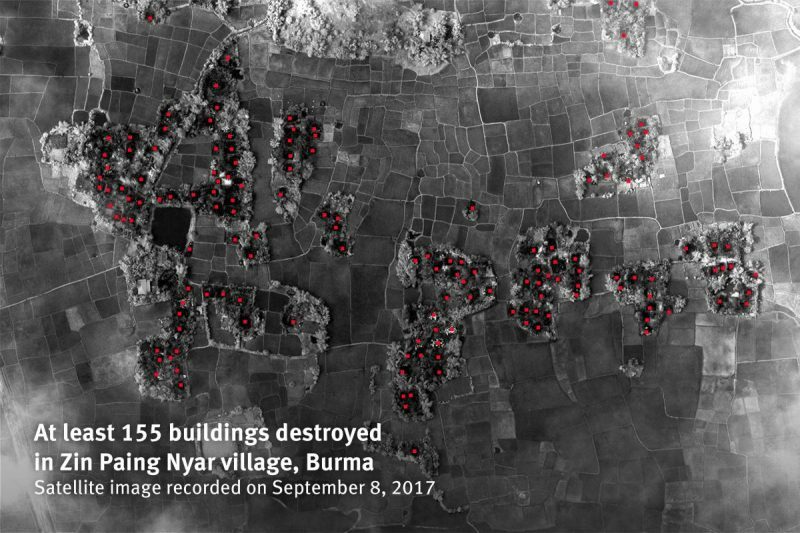 “The Burmese military is directly responsible for the mass burning of Rohingya villages in northern Rakhine State,” said HRW deputy Asia director. In Indonesia, which is majority Muslim, a veteran journalist was accused of defamation for comparing former Indonesian President Megawati Sukarnoputri to Myanmar's Aung San Suu Kyi in a Facebook post.